INDIANAPOLIS – A dispute over ticketing Norfolk Southern Railway Co. for blocking crossings in Allen County in 2015 rose all the way to the Indiana Supreme Court on Thursday. The five justices heard arguments on whether a state statute allowing law enforcement to ticket trains that block crossings for more than 10 minutes is pre-empted by federal law. While it's a case of first impression for Indiana, similar anti-blocking statutes have been struck down in at least a dozen other states. “It is particularly important that you follow that lead because Indiana stands at the heart of our American rail networks,” said Raymond Atkins, attorney for Norfolk Southern. But Thomas Fisher, solicitor general for the Indiana attorney general's office, said this is an issue of safety and pointed out the law has been on the books for more than 100 years without “unbridled” ticketing. “The sky isn't going to fall,” Fisher said. A decision could take weeks or months. The specific issue is whether one or both federal acts prohibits states attempting to “manage or govern rail transportation.” They are the Interstate Commerce Commission Termination Act and the Federal Railroad Safety Act. Fisher argued the first act is generally about deregulation and the business of railroads, such as freight rates or limitations on what a train can carry. And he said anti-blocking statutes don't reach that territory. But Justice Geoffrey Slaughter said the impact of the statute could implicate the economics of how railroads do business. For instance, Atkins said if the statute stands, Norfolk Southern would have to speed up trains or shorten the length of the train or reroute entirely. Slaughter also questioned whether the case was really about safety or inconvenience. Fisher said the most obvious example is ambulances or fire trucks not being able to get through to an emergency. But he also said it can cause congestion, backups leading to blocking of other roads and kids trying to climb through the cars. 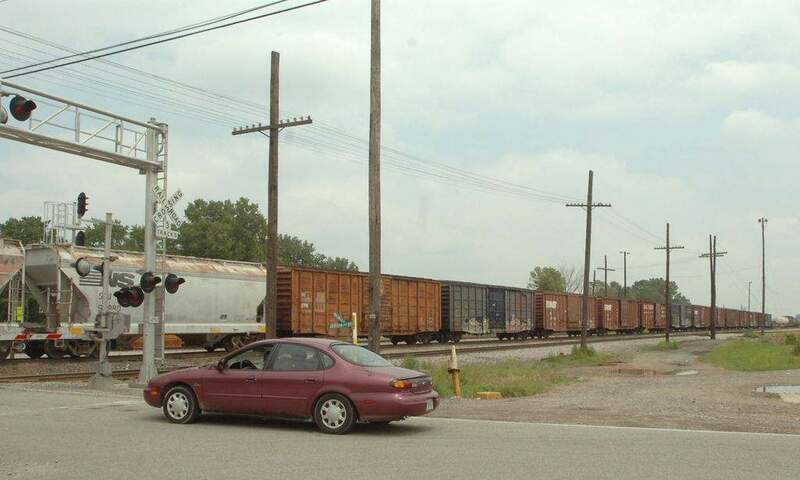 Indiana Supreme Court Chief Justice Loretta Rush said under the railroad's theory of the case, a train could block a crossing for days with no remedy. But Atkins said there is a remedy – it's simply a federal one, not the state. He pointed to something called the Surface Transportation Board where complaints can be filed. And he added that board can grant injunctions or fine the companies much more than the $500 infraction ticket in this case. Fisher said he believes the process is very informal and the state has no experience with whether that board is responsive because the state statute is in place. He reiterated how a patchwork of laws could complicate operations. “The free flow of commerce can not function appropriately when you have each locality and state seeking to manage the rail transportation,” he said. Atkins noted that once Allen County issued tickets other counties began to – leading Norfolk Southern to challenge the law. He said the reason these type of cases have risen recently is that in the last year rail lines all over the nation are suffering from network fluidity issues and areas are seeing an uptick in blocked crossings. “But the very worst thing your honors could do in that circumstance is to greenlight local communities to start managing rail operations,” Atkins said.